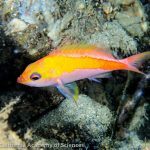 The undescribed yellow-tailed Liopropoma sp. from the Philippines. Photo credit: Lemon TYK. 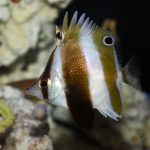 Continuing with our twilight zone series from Stenhart Aquarium’s newest exhibit, here are two more deep water denizens that share the same home as the Sacura speciosa we talked about previously. 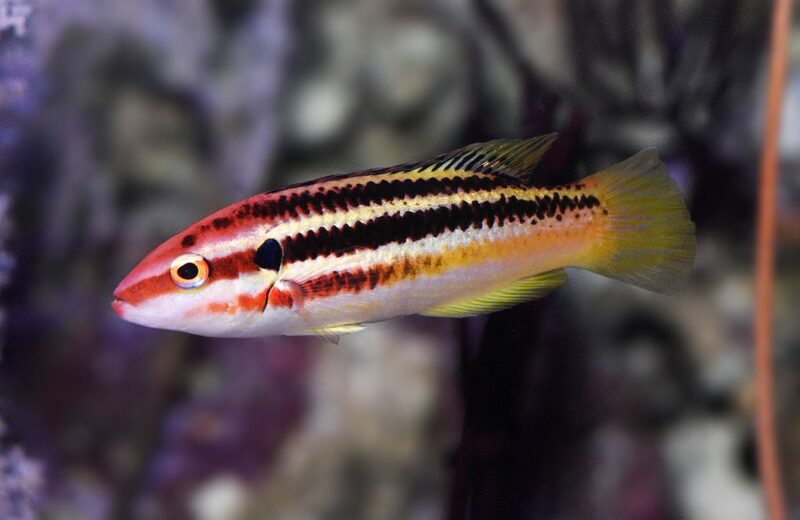 First up is a gorgeous little fish from the genus Liopropoma. Liopropoma is a large genus of basslets from the family Serranidae. The genus is circumglobal in distribution, occurring in the warm waters of the Pacific, Atlantic and Indian Oceans. Despite its ubiquity, the genus has undergone much taxonomic uncertainty since its discvoery. The genus was known when L. aberrans was described back in 1860 by Poey, although at that time it was placed in the genus Perca. Subsequently, the genus Liopropoma (Gill) was erected and no further species was placed in Perca. Throughout the years, multiple Liopropoma species were discovered and placed in various genera such as Pikea, Ypisgramma, Chorististium and Labracopis. The history of these genera and their current state today are available through casual reading online, but finally these now defunct genera, with the exception of Perca, are all relegated to junior synonyms. Perca to this day remains valid, and serves as a genus for freshwater perches. Liopropoma sp, photographed at Steinhart Aquarium. Photo credit: Lemon TYK. With all the taxonomic uncertainties plaguing this genus, it comes as no surprise then, that new species are constantly awaiting discovery. This is also largely due to the genus’ proclivity for deepwater reefs, as well as their secretive nature and fondness for deep matrices. The yellow-tailed Liopropoma sp. 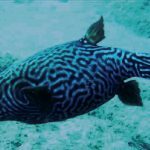 is a species that should be quite familiar to reef enthusiasts. 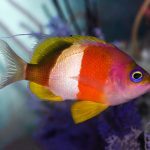 While cannot be considered common, it does make its way sporadically into the aquarium trade. However, no taxonomic work has yet to be carried out on this species, and it remains undescribed till today. 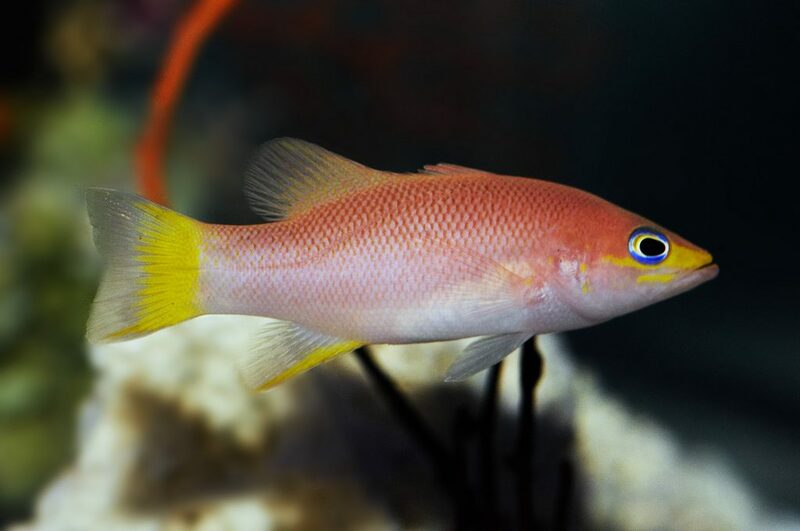 A male Bodianus izuensis. Photo credit: Lemon TYK. 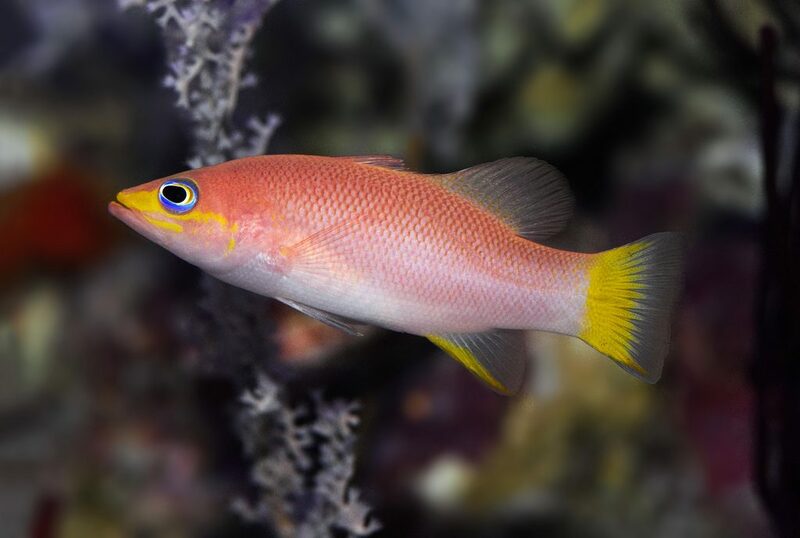 Another group of fish that shares the same habitat preference as Liopropoma is the Trochocopus subgenus of the genus Bodianus. 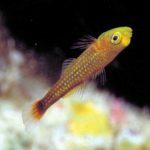 This group, sometimes known as pygmy hogfishes, are much smaller in size as compared to the regular fare of Bodianus. Like Liopropoma, these are mainly deepwater denizens, seldom encountering humans in their day to day lives. There are new species awaiting discovery – in fact, a new species is being described as we speak, and the paper should be out before the end of this year. This one pictured here, however, is not a new species. Nothing wrong with that though, as Bodianus izuensis is by far and large still a remarkably beautiful and lesser known species! The epithet izuensis alludes to the Izu Archipelago of Japan, where it can be found, but, the species has a far wider distribution, occuring south to the Philippines, Indonesia, and even Sydney, in Eastern Australia! The species is not commonly encountered in the trade, so seeing one on display at the Steinhart Aquarium is definitely a treat! If you’re still on the fence about making your way to San Francisco, perhaps the next post will serve as the nail in the coffin!